Dr Christopher Franco aims to help his patients to achieve a healthy bite and great smile. He diagnoses facial growth problems, dental development abnormalities and malocclusion (bad bite), and provides tailored treatment based on current and best available evidence-based orthodontics. His focus on the bite includes how the teeth meet, function and align, and the positioning and size of the upper and lower jaws. Dr Franco spent time in private practice in Cairns, on the Gold Coast and in Brisbane before joining Whyte Orthodontics. He completed his Bachelor of Dental Surgery (B.D.S.) from James Cook University in 2014, and his Doctorate of Clinical Dentistry (D.Clin.Dent. [Orthodontics]) from The University of Queensland in 2018. Dr Franco became aware of research opportunities during undergraduate dental school that allowed him to work with orthodontists and paediatric dentists on craniofacial problems associated with digit-sucking and malocclusion in North Queensland. It was this work that drew him to the field of orthodontics and to the concept that it is possible to intervene and provide lasting solutions to craniofacial problems. 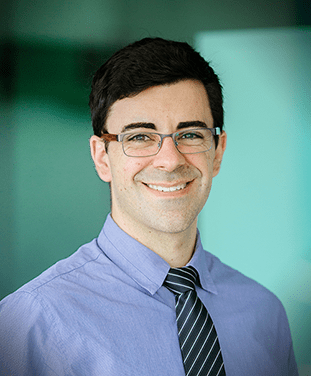 Dr Franco is a Certified Member of the Australasian Orthodontic Board, and Member of the Australian Dental Association (ADA) and the Australian Society of Orthodontists. Book an appointment at Whyte Orthodontics Today!